Our leather ladies shoulder bag has a soft fabric lining with adjustable straps, a large storing space and zipper closure. As we know the value of quality raw materials, we source them only from dependable vendors. By applying such inputs, we make sure that our finished goods remain flawless. 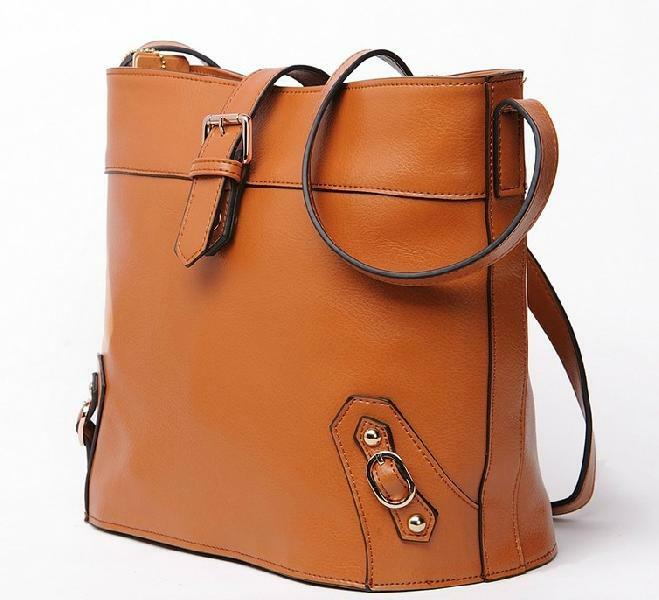 Known as the trustworthy suppliers, we are offering only the finest quality Leather ladies shoulder bags at a reasonable price.